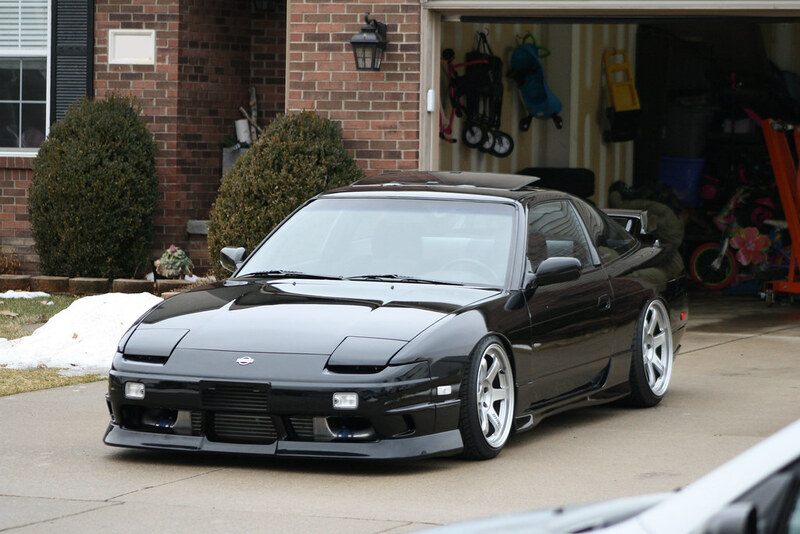 I don’t have a ton to share this week, but I did manage to pull my black S13 out of the garage last Sunday to let it run and warm up for a while. After facing brutal temps well below zero last week, we were teased with a couple days at 50º. 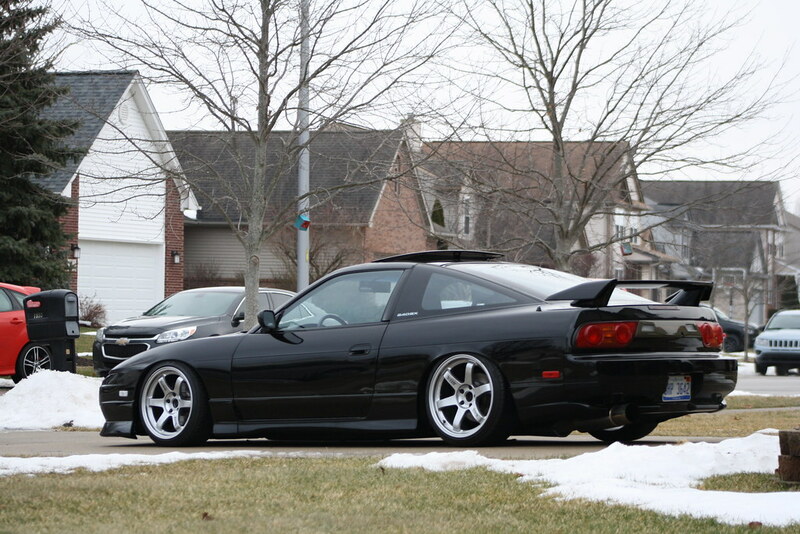 It was good to be able to fire the car up and bring it outside for a few quick photos. I rely heavily on these random warm days during the winter months for motivation. Winter becomes tough to handle during late February and early March sometimes, so any small opportunity to start the car up serves as a reminder that nice weather will once again return to Michigan eventually. Despite the craziness of changing seasons here I wouldn’t want to live anywhere else! 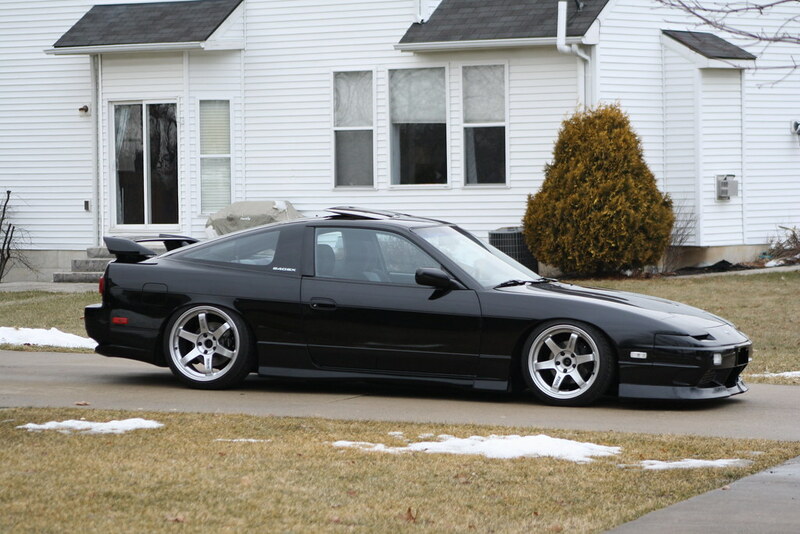 I attempted to make some progress on the SR20 for the coupe last week only to hit an unexpected snag. 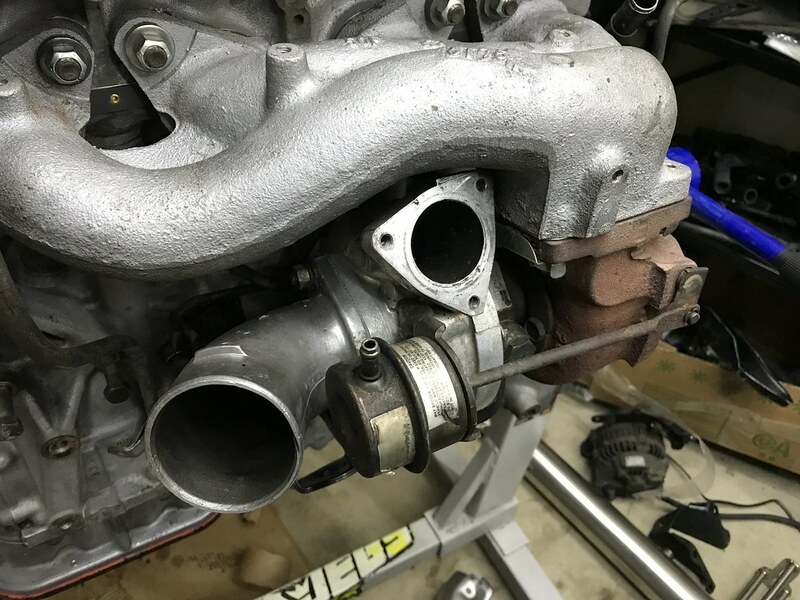 When I attempted to install the outlet pipe on the compressor side of the turbo, I found that it was touching the exhaust manifold and could not be bolted up. This likely explains why it was held on with only one of the three bolts and was flopping around when I bought the car. It appears that the turbo must have been clocked incorrectly at some point along the line. I ended up having to remove the entire exhaust side again to tear it all apart and try to correct the position of the compressor side of the turbo. This has proved to be a difficult task as the bolts and C clip seem to be very tight. Fortunately a local friend is sending me his old T25 turbo as he is upgrading and does not need it. I should be able to reassemble everything rather quickly next week before moving on to the intake side of the engine. It took a while to sort through which items went where. A spreadsheet is crucial for staying organized and keeping track of all of this stuff! Speaking of the intake side, a number of replacement items for that portion of the engine arrived last week. 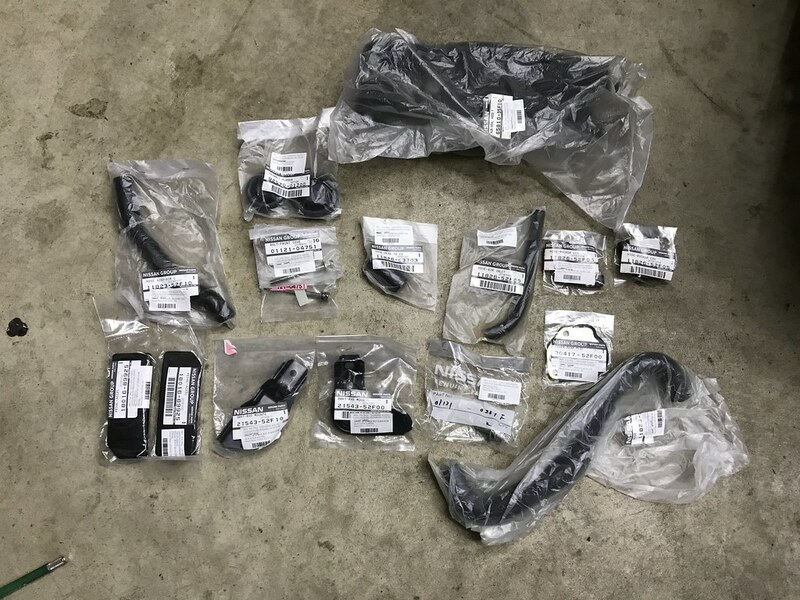 The first was an order from Courtesy Nissan that contained a number of items including replacement clamps for nearly all of the water and blowby hoses on the engine, bolts for installing the clutch fan and shroud, radiator bracket bolts, heater core hose clamps and grommets, and a few other necessary bolts I was missing. 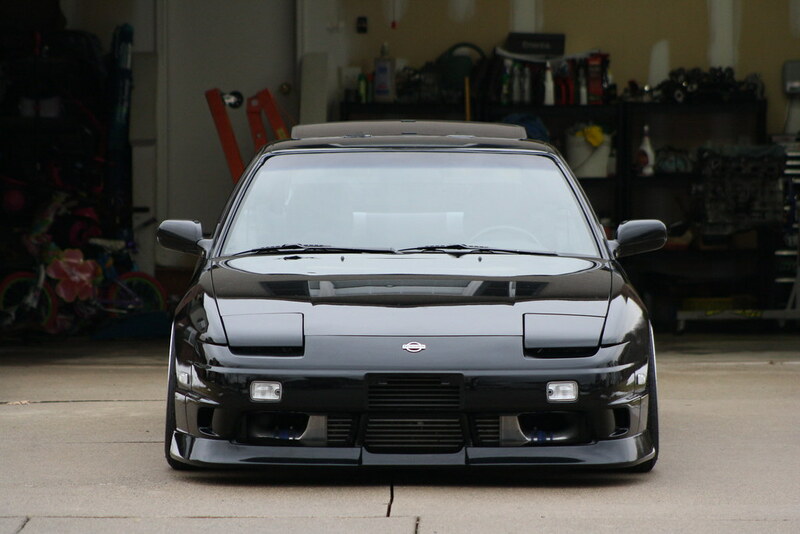 The second was an order from RHD Japan. 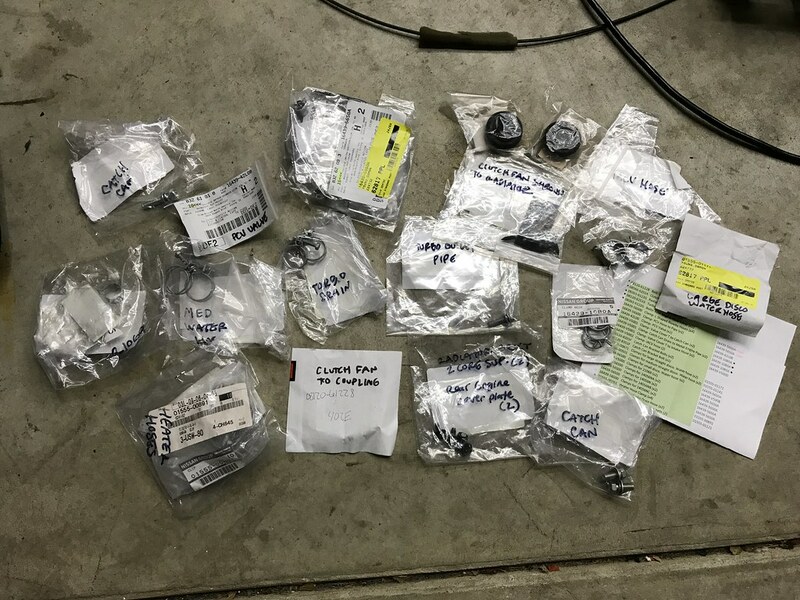 This batch included the metal engine cover for the rear clutch/flywheel window on the back of the engine, new hoses for the PCV valve and OEM catch can setup, a few bolts for the engine I was missing that were discontinued stateside, radiator mounts, a firewall plug for the AC system (since my coupe will likely not have AC initially,) replacement accelerator pedals for both the hatch and coupe (pretty excited about these since I replaced the brake and clutch pedal rubber pads on the hatch last year but couldn’t find the accelerator pedal,) and a seal for the front of the Silvia hood. 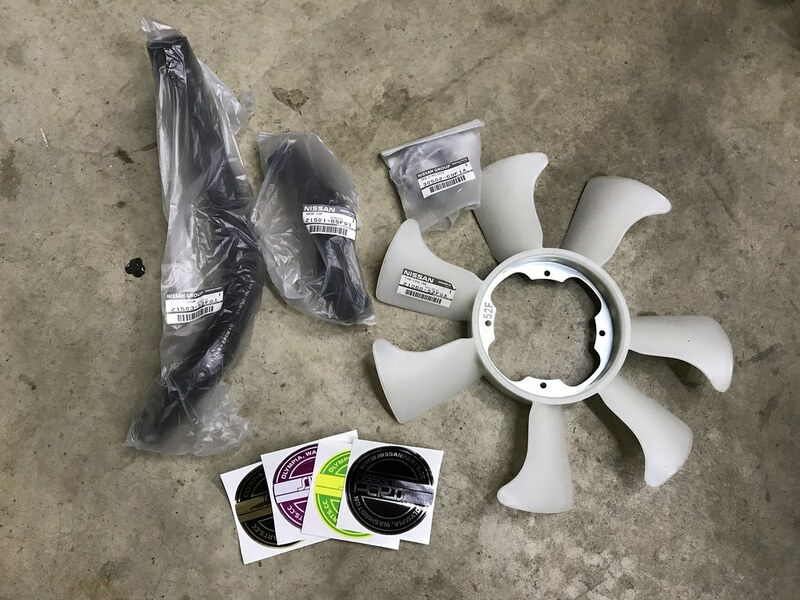 Finally, a small order from my friends at NissanParts.cc arrived with OEM upper and lower radiator hoses, a clutch fan blade, and a new release bearing for the clutch. I elected to go with OEM hoses on the coupe instead of aftermarket ones. I believe I now have just about everything I need to refresh the engine as I intend to. With any luck my valve cover should be back from powder coating next week as well which will be nice to have. At this point it’s just a matter of finding the time to properly clean and reassemble it all. I’ll be traveling to Houston, Texas Friday morning for a quick weekend trip to stay with my friend Jimmy and see a number of other good friends while I am there. I’ll be sure to take some photos and share them here next week! PS- I’ve added a shirt to the store page here on the website that includes a link to preorder through my local screen printing vendor. We will be taking orders through Friday, February 22nd. I am really excited about these- they should turn out pretty nice! Thanks a lot for the support.